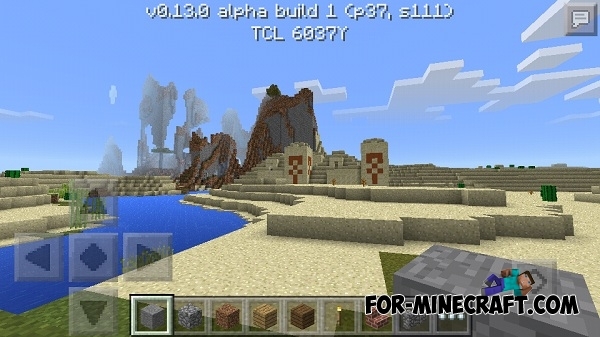 After the release of MCPE 0.13.0 developers added the temples in the desert, which are not so easy to find. 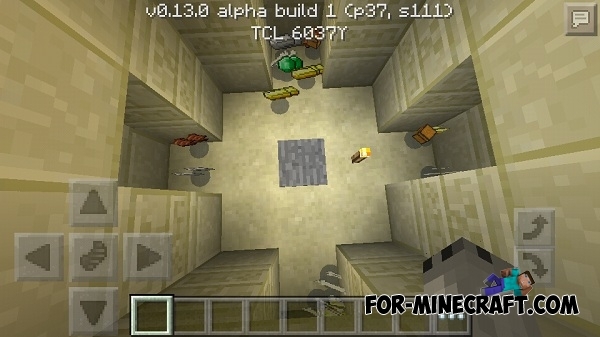 This seed generates around you two temples that have a bug (they are connected with each other). 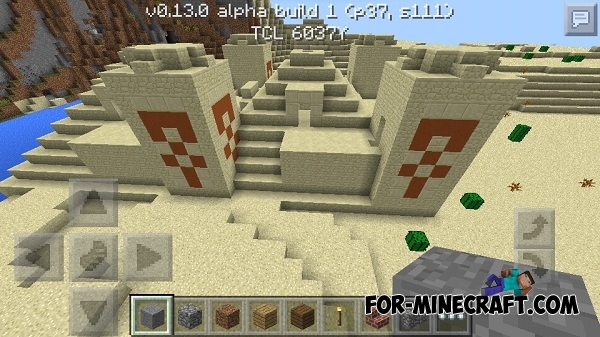 Generate the world with this seed, turn right and you will see the temple. 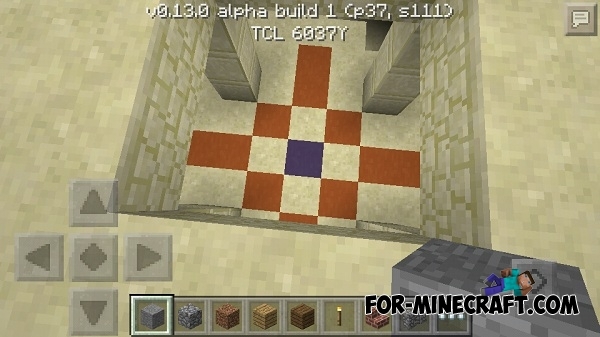 Go to the passages and there you will see the colored blocks of clay. If you break them and come down, you can find the chests with loot. Well, not just that, near the temple there's an unknown architecture that made of sandblock/whatever and filled by water and near that architecture there are some rabbit. Yeah,sandy rabbit. Also, beware of the pressure plate on the temple.